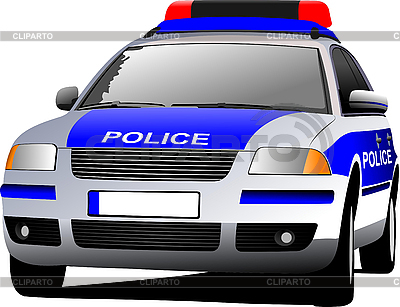 Police car. Municipal transport. Colored vector illustration.